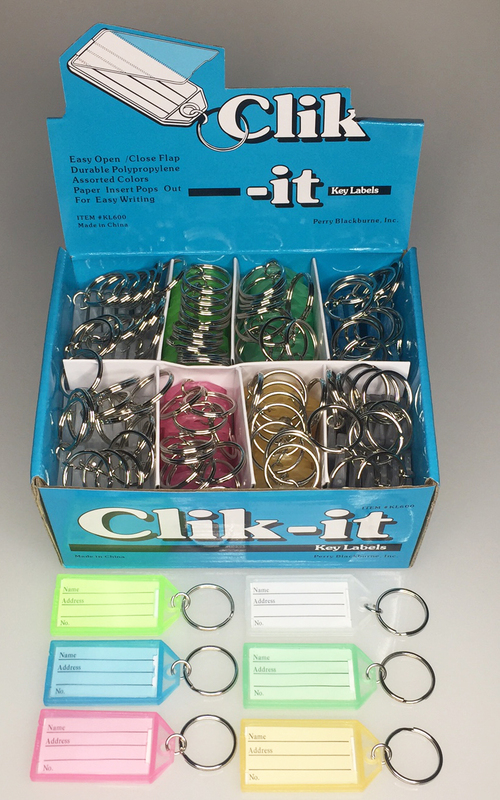 Made from durable polypropylene, Clik-It Key Labels measures 2 1/4" x 1 1/8" and is attached to a 7/8" split ring. 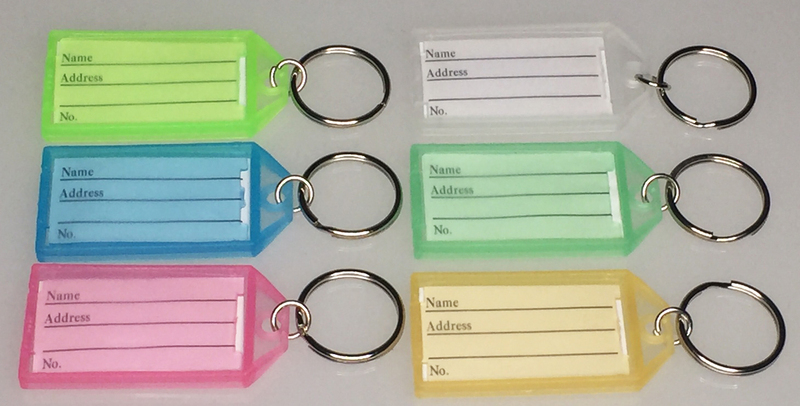 Each piece has an easy open/close flap which allows paper to "pop out" for easy writing. Colors are assorted: CLEAR, GREY, LIME GREEN, BLUE, YELLOW, PINK and GREEN. Packaging is 100/Display Box.